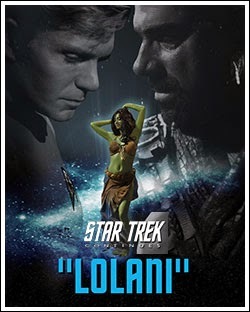 #JonnOnTV: TV: Star Trek Continues - Episode 2 - "Lolani"
The new Star Trek Continues Web Series carries on the original 5-year mission. Star Trek Continues begins right where the original left off. A survivor from a distressed Tellarite vessel pulls Captain Kirk and his crew into a moral quandary over her sovereignty.